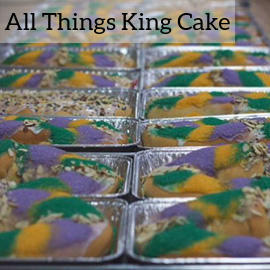 Mardi Gras is an exciting season for the young and old, locals, and visitors. Elaborately decorated floats throw "treasures" (trinkets like beads, stuffed animals, logoed cups, doubloons, Moon Pies and more) to eager parade goers. "Throw Me Something Mister" is a familiar phrase yelled out by on lookers to the carnival "Krewes" on the floats as they pass by hoping to "scoop" up some of these exciting items. In 1908, the Gulf Coast Carnival Association was the first Krewe to parade on the Mississippi Gulf Coast with 17 floats. 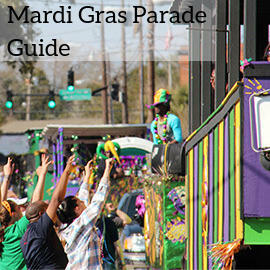 Today there are more than 20 parades and an estimated 450,000 people attend parades every year. With the addition of two new parades in 2009, and the Long Beach Carnival Association Parade making its debut as an evening parade in 2011, the coast continues "Carnival on the Coast" with the party getting bigger & better every year!